On Friday, September 21, 2018, The Sisters Brothers hits the big screen. The western dark comedy stars Joaquin Phoenix and John C. Reilly as the notorious assassin brothers Eli and Charlie Sisters. Also appearing in the film are Jake Gyllenhaal, Riz Ahmed, Rutger Hauer and Carol Kane. 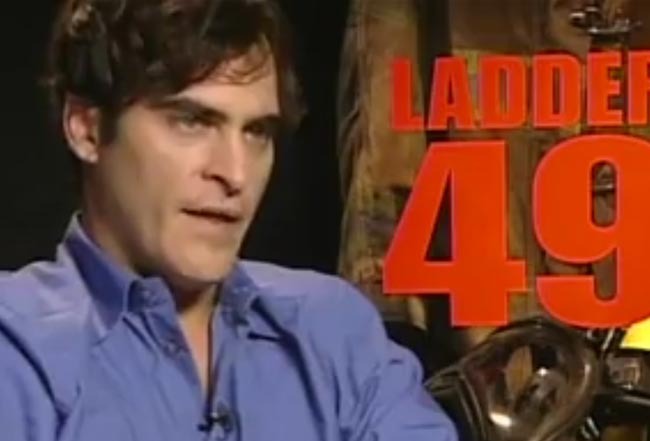 The MediaMine library includes celebrity journalist Reba Merrill‘s interview with a 30-year-old Joaquin promoting the film Ladder 49.